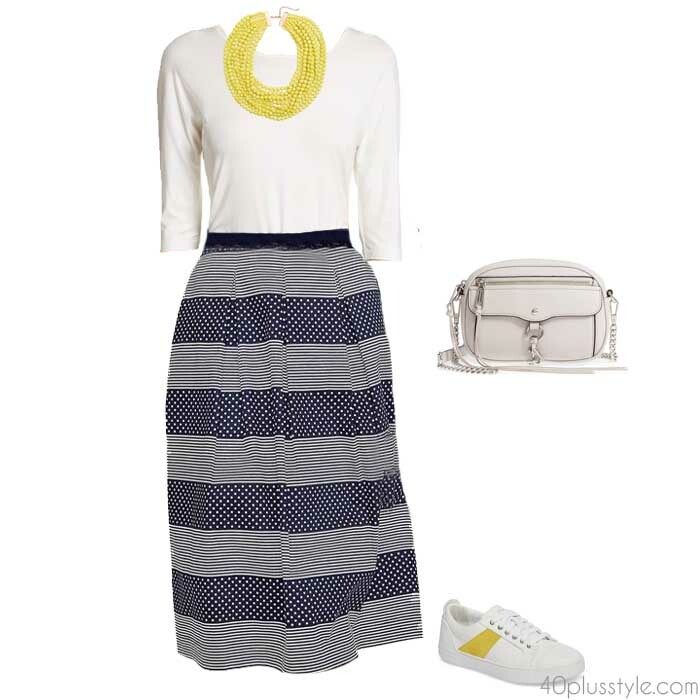 40+ Style » How to dress after 40 » How to wear stripes like a pro! How to wear stripes like a pro! Horizontal, vertical, diagonal. There are so many different ways of wearing stripes that it can be daunting. Plus, the commonly held belief is that horizontal stripes make you look bigger. But do they really? 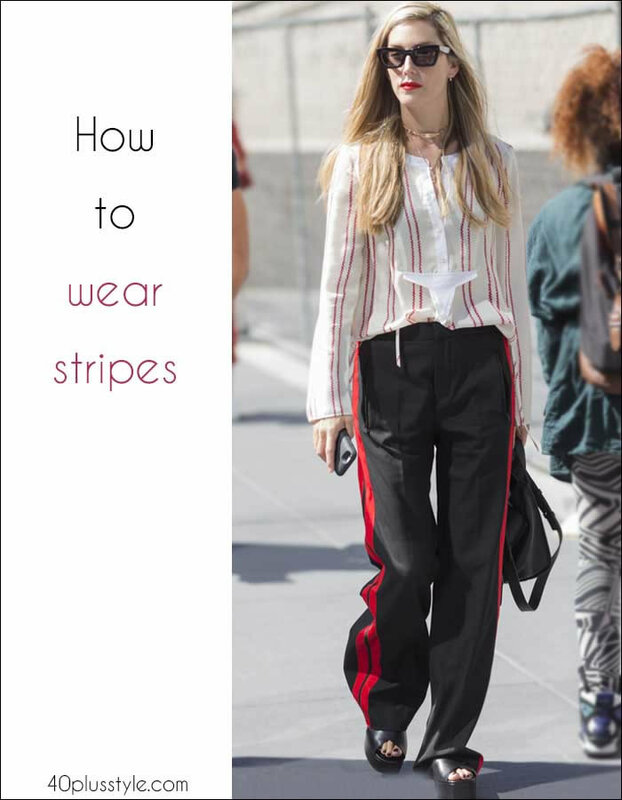 Here are our tips and ideas on how to wear stripes like a pro. The debate about which way to wear your stripes dates way back to 1925 when German scientist Hermann von Helmholtz showed that a square with horizontal stripes actually looked taller and thinner than one with vertical stripes. Since then, discussions have continued about how to apply that to fashion. And, that’s because women’s bodies are all different, clothing designs featuring stripes are different, and there are different ways to wear them. Ultimately, it’s about finding stripes which are flattering to your own style and body shape. And, the great thing about stripes is they never date. They’re just as much on trend now as they were when Coco Chanel first wore the Breton top in the 30s. 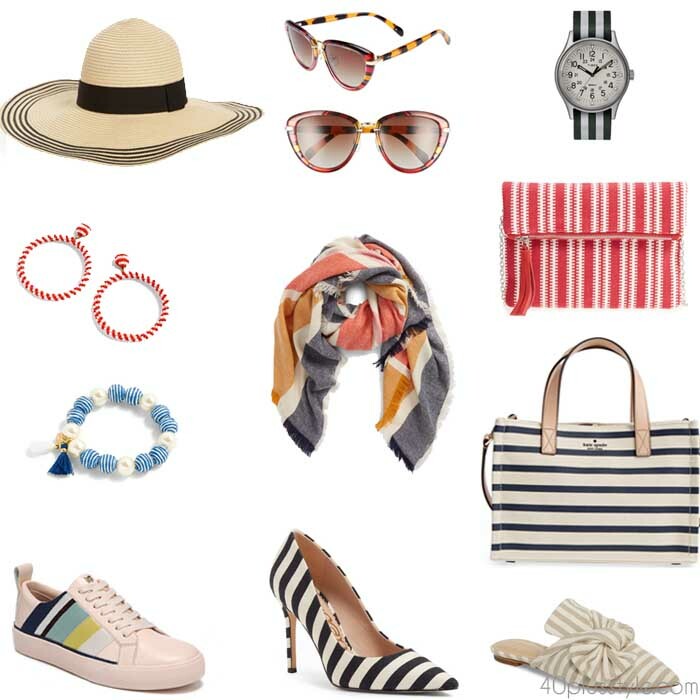 Here are some easy, stylish ways to wear stripes. This is definitely one trend that will never go out of style! Plus, I’ve never seen a woman who doesn’t look great in a Breton top. 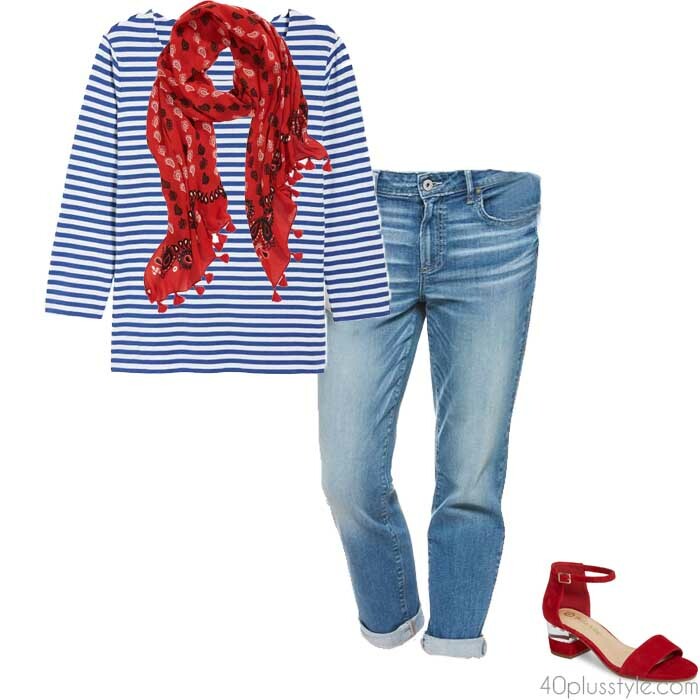 40+ stylist Ruth Essex loves her Breton tops, particularly when she’s sailing, and has them in a range of colors. You can see them here in her style interview. Don’t worry though, the yacht is optional! Something else that will see you through season upon season is the striped shirt. Very on-trend this summer, in a kind of pajama-style vibe, striped shirts are a great weekend and workwear staple. Style with a denim pencil skirt and booties for a look which will take you through to fall. If you’re new to pattern mixing, then stripes are a great way to start because they look fabulous teamed with other patterns, like florals or leopard print. They key is to pick out similar colors in both patterns so they compliment each other rather than clash. Use stripes to create optical illusions to elongate your body. For example, if you have short legs or are petite, then vertically striped pants can create the illusion of longer legs. Striped palazzo ones are great because you can pop a pair of heels underneath and instantly elongate your legs. Or, if you don’t have many curves, you can create some with well-placed stripes. 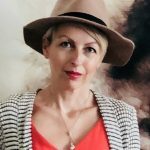 If you want to wear horizontal stripes, but you’re worried that they could make you look wider, a good way to still get the look of stripes, while ensuring you still create nice long, lean lines is to layer with solids. Wear a long blazer or cardigan over the top in a block color or a neutral. Another good way to get the look of stripes without a widening effect is to lower the contrast between the colors in your stripes. So, instead of going for black and white, or navy and white, as is the classic style, try pastel stripes. Or, for fall and winter, you could opt for stripes in autumnal hues such as burgundy or forest green. If you’re not sure whether to go for vertical or horizontal stripes, then opt for the best of both worlds and choose diagonal. Diagonal stripes can confuse the eye, meaning that they can disguise the parts of your body you’re not too happy with. They can also create curves as, if you have stripes going in different directions, it creates the illusion of your body going in and out (in all the right places!). Just because you’re thinking about stripes, don’t forget to also think about what is usually flattering for your body shape. So, if you’re a pear shape and usually go for a full skirt, or you’re an hourglass and look great in a pencil skirt, stick to the techniques and garment types you know work for your own body. If you’re not sure what your bodyshape is, there’s a good guide here on how to determine your body type. Accessories don’t have to just come in one block color! There are some fabulous striped options in stores now. You could, for example, team a plain white tee and jeans with striped sneakers for an instant update on your wardrobe classics. Or, team striped shoes with a navy dress or dark jeans. Do you already have a lot of stripes in your closet? What is your favorite way to wear stripes? What is not to love about stripes? I adore them. And I have to invest in them again. Too little stripes left in my wardrobe. This post has inspired me again. I don’t always like pattern on my top half but make an exception for stripes. Remember I used to like spots years ago. Perhaps time to revive those. 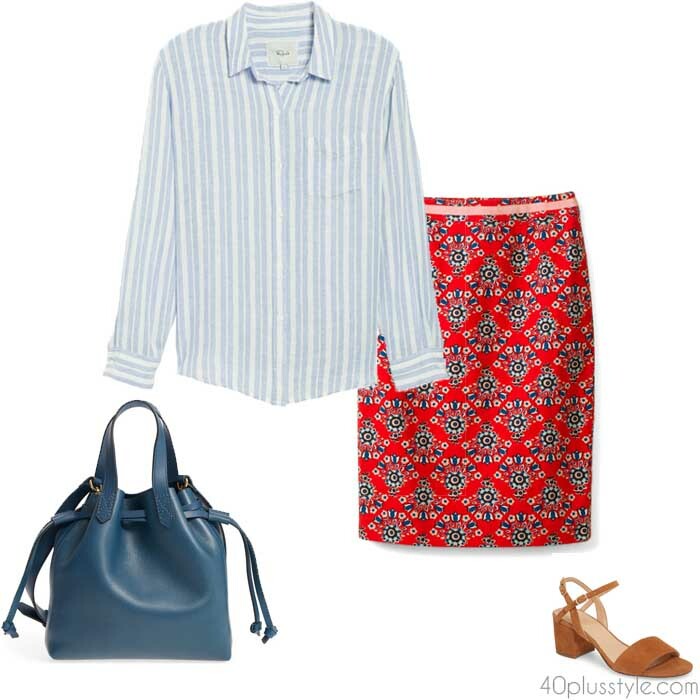 Next post: Get ready for summer with the 40+Style Club Summer Capsule wardrobe!